What is this VPB Mod? What does it do, and why? This mini-site is a place for the VPB mod developers to describe their work on the project, to comment on the sim, and to explain the changes made to various parts of it. It is not interactive; just basic data from our crew. The VPB HQ is still the main VPB site, and comments and posts about this work should be directed there. Pages regarding our work will be divided by topic. These will likely expand and diversify, so please check back periodically for updates. 1) VPB Release Versions, what were they? 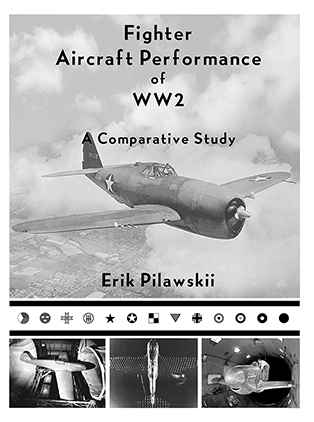 Fighter Aircraft Performance of WW2 has been released. Visit the site and learn about the core of our Il2 simulation work.